Additional Secretary in the Ministry of Electronics and Information Technology (MeiTY), Ajay Kumar has been transferred to Department of Defence Production on a lateral basis. He is a 1985-batch IAS officer of Kerala cadre. 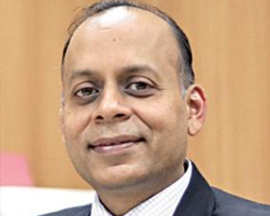 Currently, he is serving as the Managing Director of Bangalore Metro Rail Corporation Ltd.
Pritam Singh a 1984-batch IAS officer of Rajasthan cadre has been appointed as the Director General, National Archives. Currently, he is serving as the Additional Secretary in the Ministry of Corporate Affairs. G C Murmu, a 1985 IAS officer of Gujarat cadre has been appointed as the Additional Secretary in the Department of Revenue. He is currently the Additional Secretary in the Department of Financial Services. Apurva Chandra, a 1988-batch IAS officer of Maharashtra cadre has been appointed as the Additional Secretary and Director General Acquisition, Ministry of Defence. He is currently the Additional Secretary in the Department of Defence Production. The Government has also given extension of one year to R K Jain, a 1981-batch IAS officer of Himachal Pradesh cadre who is a member of National Disaster Management Authority (NDMA).